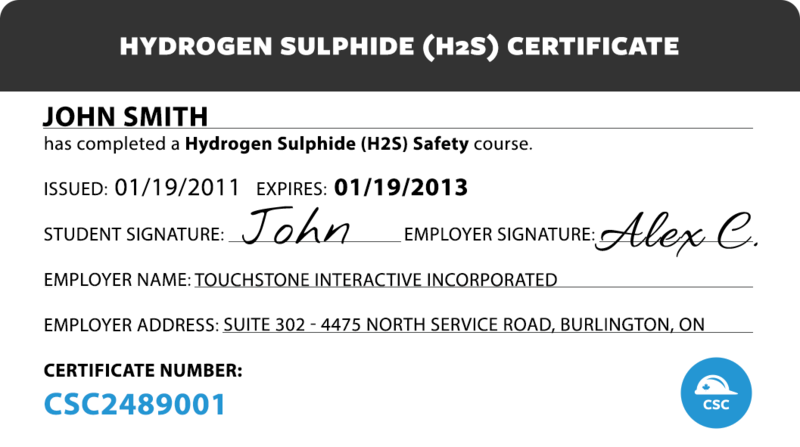 This H2S Training Program is ideal for individuals who require H2S Training as a pre-requisite to employment and for businesses that require a simple and accessible solution for training their employees. H2S Training is required in many industries including oil & gas, water treatment and seismic. After completion of this course students will immediately be issued a certificate. 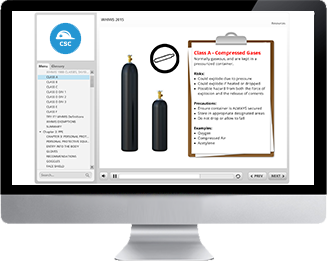 This Online H2S Training Course will guide you through all aspects of H2S, from the basic properties of H2S, to information about personal protective equipment as well as operating and rescue procedures. This course will explain in detail what you need to know to remain safe around H2S, emphasize key points and test your knowledge retention after each module. Working safely with Hydrogen Sulphide (H2S) – What to do and not to do. How Hydrogen Sulphide forms and some important properties such as: flammability, toxicity, odor thresholds and vapor density. Protection against H2Susing equipment such as respirators, rescue packs and gas monitors. Precautions to take to ensure your safety when entering an area which may contain H2S vapors. Rescue and first aid as it applies to H2S exposure. How to revive victims that have inhaled H2Susing artificial respiration and CPR.